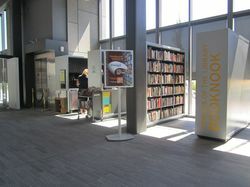 Books donated to the FOVCL are sold in the Booknook bookstore, as well as online, and special book sales. We accept donations of books in good condition. Feel free to drop off books at the Booknook during library hours. If you have many books to donate, please come during normal Booknook hours so we can help you unload your car and box up your precious donations. Check events for book sale dates and times.